Jeffrey is a founding partner and the Managing Director of Anderson Creagh Lai. 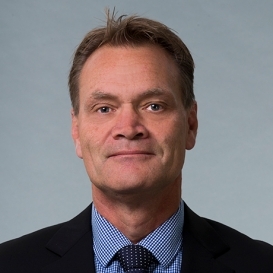 He provides sound, pragmatic legal and general commercial advice to a wide range of clients, particularly in mid-market and high growth New Zealand companies in various industry sectors. Jeffrey specializes in corporate structuring and restructuring, mergers and acquisitions, investment funding, domestic and international business expansion, and contractual arrangements. Jeffrey also has a technology sector focus, particularly in major technology project development, implementation and integration, IT services outsourcing, and commercialistion of science and technology. Jeffrey holds an LLB (Hons) and BCom from the University of Auckland. 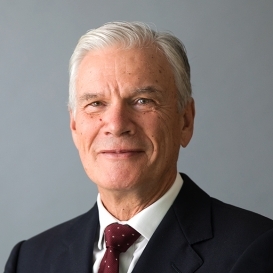 Phil is a founding partner of Anderson Creagh Lai, and senior partner and chairman of the firm. Phil’s practice areas are wide ranging and include dispute resolution and civil litigation, corporate and commercial advice, and specialist commercial property work. Phil’s main focus is on providing the strategic focus and oversight of significant commercial and contract related disputes, frequently working with the separate bar. 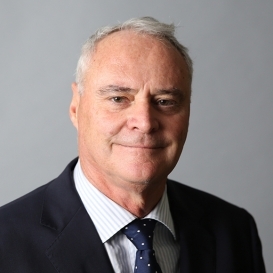 Phil has had significant recent experience as instructing solicitor in large commercial property disputes, the local authority powers and regulatory area, a significant minority shareholder oppression action, the leading NZ property relationship/trust case and in many other corporate and commercial causes. In addition to his litigation practice, Phil continues to advise corporate and commercial, and occasionally property, clients on their needs. Outside the law Phil has a number of private family business interests, and has had governance experience, serving on the managing board of a leading Australasian law firm for six years before co-establishing Anderson Creagh Lai, serving as a director for a number of valued personal clients, and serving as an officer and trustee of a number of voluntary organisations. Phil also provides pro-bono assistance and advice to a number of organisations. In practice since 1970 Gregory founded Shanahan partners and has been a partner in Russell McVeagh and Minter Ellison Rudd Watts. Throughout his career in the law Gregory has specialized in commercial property law. Gregory has provided specialist commercial property-real estate advice to a wide range of New Zealand and Australian corporations, institutions and private companies and overseas clients investing in New Zealand. Structuring of tenure, risk, and governance and finance issues has been at the core of this work. While acting for Ports of Auckland Limited, Gregory advised on the strategy and structuring for and the implementation of the separation of the port operating businesses of the Port company from its non-port operating businesses, which were varied and substantial, long term value-adding businesses. Gregory has done work for the Catholic Church throughout New Zealand, advises a large number of public and private charities including some established by the New Zealand Government. Aaron specialises in litigation and dispute resolution. He has broad experience in insolvency, debt recovery, employment, health and safety, fair trading act claims and complex contractual disputes. Aaron has appeared in the Employment Relations Authority, District Court, Employment Court, High Court and Court of Appeal as well as in mediations and settlement conferences. 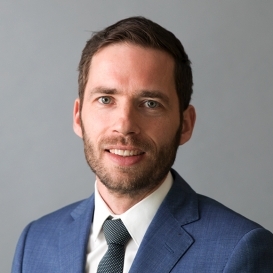 Charly first joined ACL in 2009 and returned in 2016 as a senior associate in the corporate / commercial practice after a period practising in London and made Special Counsel in 2018. Charly specialises in mergers and acquisitions, company formation and restructuring, shareholder issues and protections, financial products advice and general corporate transaction and advisory work. Charly also has a technology sector focus, particularly in major technology project development, implementation and integration, IT services outsourcing, software commercialisation and data migration. 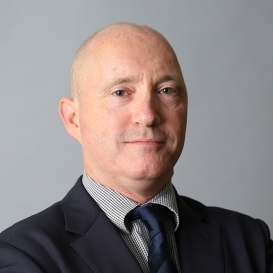 Paul joined ACL in April 2014 after having worked for the Treasury Solicitor in the UK, and prior to that in Auckland at two boutique legal practices and EY as a tax consultant. Paul’s practice comprises all areas of property law with a particular focus on the conveyancing and leasing of commercial property as well as acting for a number of residential and retirement village developers. Paul also provides private client advice, including the structuring of property ownership through trust and corporate structures. Courtney joined the firm in 2017 from her role as associate at NZX Limited where she spent 3 years in their Issuer Regulation and general corporate teams. She holds an LLB, BA and BA (Hons) and is working towards an LLM (Hons) with graduation due in 2018. She was admitted to the bar in 2013. Courtney has particular experience in regulated markets and listed company governance. Inigo joined ACL in 2017 and was admitted to the bar in 2016. He holds an LLB (Hons) from the University of Auckland. 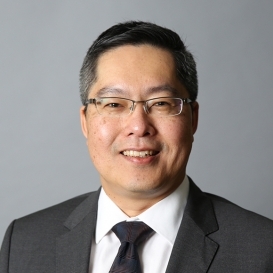 Prior to joining ACL, Inigo worked in a variety of fields with experience in Maori legal issues, public and administrative law, and commercial law. He began his career at LeeSalmonLong where he worked on large, multi-party disputes and gained experience in a wide range of litigation matters. Holly completed her LLB (Hons) at Auckland University of Technology in 2016. She joined the firm in 2017 and works in the dispute resolution and commercial property teams. Holly has worked on contractual disputes and commercial property transactions. Katie completed her LLB (Hons) and her bachelor of business studies majoring in finance at Auckland University of Technology. She joined the firm in 2017 and works in the dispute resolution and corporate/commercial teams. Katie has worked on contractual disputes and a range of commercial transactions. Bridget joined the firm in January 2018, having recently obtained a LLB/BA from Victoria University of Wellington, majoring in psychology. She works in the property and corporate/commercial teams. Arthur joined the firm in January 2019, having recently obtained a LLB from the University of Otago. He works in the corporate/commercial team and is currently completing his Professional Legal Studies Course. With 19 years of experience working at Land Information New Zealand and 6 years previously at one of New Zealand’s largest law firms, Paul is uniquely capable of managing subdivision projects and attending to complicated conveyancing matters. Kevin has recently joined Anderson Creagh Lai as CEO. A Chartered accountant by profession, he brings extensive experience in law firm management from previous roles both in New Zealand and more recently internationally. Kevin is responsible for all firm operations and will be a first point of contact for clients in regard to any questions or issues concerning the firm. Outside of ACL, Kevin enjoys a wide range of activities, travelling and socialising with his wife Arlene, golf, cycling, fishing, and diving among them. Kevin is a Grandfather to twin 4 year old boys all of which keeps him happily occupied. Please contact Kevin regarding all matters to do with the firm. Stephen was a founding partner of Anderson Creagh Lai. 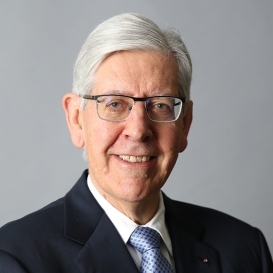 During his long successful career as a lawyer, he acted at various times for clients in a range of industries including gas, electricity, glass, airlines, insurance, health, superannuation, stockbroking, salt, magazine publishing, pharmaceuticals, meat and hides, manufacturing, retail, professional engineering, telecoms, IT, liquor and entertainment. Stephen was listed in the 2000 edition of Chambers Global – the World’s Leading Lawyers – 2000-2001 as one of the leading individual lawyers in New Zealand in the company/commercial/M&A category. Stephen holds an LLB (Hons) from the University of Auckland. Stephen retired from the legal practice on 20 June 2018. He remains a non-lawyer consultant of the firm, assisting with matters that are not regulated legal services. Elaine Webb has been with the firm as its office manager since its inception in 2006. She has had a lengthy career in the legal industry and works tirelessly to ensure that the firm's administration needs are met. Jacqui has been involved with the firm as a contractor since its early days and in 2016 came on board full-time to provide support directly to our legal team. Jacqui has spent her career working with legal service providers and brings extensive law firm administrative experience to the team. Paul Sullivan has worked as an accountant since 1998, qualified as a Chartered Accountant in England in 2003, and has primarily spent his career working in professional services firms. Paul assists with the smooth running of the firm's financial functions. Mary joined Anderson Creagh Lai in early 2017 as our Receptionist. Mary has a career in reception and administration related roles and she brings a professional and cheerful first impression to anyone visiting our office.